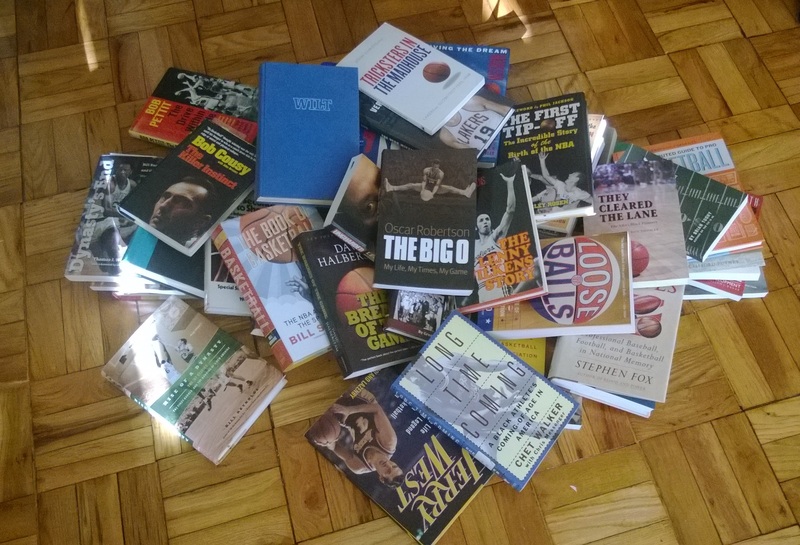 A heap of books in my basketball library. Even have a parquet floor like the old Garden! Pro Hoops History is indebted and could not exist without the work of numerous authors, journalists, historians, and statisticians. Below you will find links to the books and websites that have provided the information and raw material I’ve used to create this blog on professional basketball’s history. I encourage you all to read as many of these books as possible, and to visit these websites as often as possible. The perspective these men and women provide will change – for the better – your perception and understanding of the sport and the people who’ve made the game.